Thornton Cooper is a Democratic candidate for the West Virginia House of Delegates in the 35th Delegate District. In 2016, a total of 4 delegates will be elected to represent that district, which includes the following territory: all, or nearly all, of Dunbar, South Charleston, South Hills, and Saint Albans, and parts of Nitro and Kanawha City, as well as a few other areas. Mr. Cooper is a native and resident of South Charleston, a retired state employee, and an attorney with a small private practice. Mr. Cooper served eight and a half years on the Kanawha County Democratic Executive Committee (KCDEC), from 2006 to 2015, as a committeeman representing Executive Committee District 2-B. He has also served as a committeeman for his ward on the South Charleston Democratic Executive Committee (SCDEC) from 2011 to the present and is currently the Secretary of the SCDEC. For decades, Thornton Cooper has, as a private citizen, taken public positions on dozens of matters of public interest. He has also commenced, or intervened in, several court proceedings on such matters as redistricting, gubernatorial succession, the Charleston “user fee,” school consolidation, and the proper procedures for amending the West Virginia Constitution. 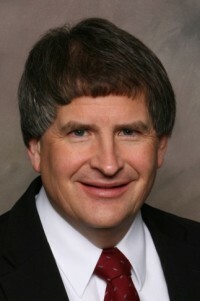 Following the 2010 Census, he developed proposals for redistricting West Virginia’s congressional districts, the State Senate, and the House of Delegates. He has supported raising the minimum wage, protecting the safety of the state’s drinking water, and preserving state laws relating to the disposal of solid waste. He campaigned against a law passed in 2014 that allows concealed weapons to be brought into city recreation facilities in Kanawha County. He believes that city governments should have the right to ban concealed weapons in such facilities. In 2016, he wants to help the Democratic Party regain control of the West Virginia House of Delegates. He opposes a number of the Republican-backed bills that passed the Legislature during the 2015 and 2016 sessions. Mr. Cooper, now 66, was born and raised in South Charleston. His brothers Tom (now deceased) and John and he attended public schools there. After graduating from South Charleston High School in 1968, he attended Yale University. In 1972, he graduated from Yale with a B. A. in Political Science. Between 1975 and 1978, he attended the West Virginia University College of Law, where he received his law degree (Juris Doctor) in 1978. His parents, now deceased, were Thomas R. Cooper, Sr., an electrical engineer and draftsman at the Union Carbide Technical Center in South Charleston, and Virginia Watson Cooper, who taught English and Latin at South Charleston Junior High School, Stonewall Jackson High School, and George Washington High School. Thornton Cooper has two sons: Jeremy, 34, who graduated from Charleston Catholic High School, Oberlin College, and the West Virginia University College of Law (J. D. 2013), now practices law in Preston County and lives with his wife Lacy, daughter Virginia, and son Jude in Preston County. Timothy, 30, a composer who graduated from George Washington High School and West Virginia University, received his master’s degree from the University of Tennessee, and worked on his doctorate at the University of Hartford, now works for a music company and lives with his wife Pam and daughter Larkin in Ohio. Thornton Cooper worked for over 29 years for several state agencies, including the West Virginia Department of Highways, the West Virginia Human Rights Commission, and the Public Service Commission of West Virginia. For nearly 25 years of this period, Mr. Cooper was an attorney and administrator for the Public Service Commission. At the end of 2005, he retired as an employee of that agency. During 2006, he also worked for the Commission as an independent contractor. During the last 38 years, Mr. Cooper has appeared before the state Supreme Court in about 30 cases. He has also appeared in federal court several times. This Website Last Updated November 7, 2016. Copyright © 2007-2016. All rights reserved.